Theater AV System, AV Consultant | Acoustical Consultant | Audio Video Consultant | Diversified Design Group, Inc.
July 24, 2013- Named after benefactor Rose Blumkin of Nebraska Furniture Mart, Omaha’s The Rose Theater is home to the Omaha Theater Company, a professional company committed to live theatrical performances and arts education for children and families. The Rose has produced a number of world-premiere shows including Mufaro’s Beautiful Daughters, The Wolf and Its Shadows, Where the Red Fern Grows, and The Little Engine That Could and has worked with renowned playwrights including James Still, Mark Medoff, Y York, Joe Sutton, and Robert Bly. 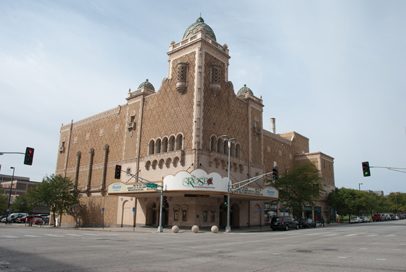 Combining Moorish and Classical Architecture, The Rose Theater’s building began its life in 1927 as a grand vaudeville and movie palace with a full theater organ. After the Depression, The Rose went through several owners and was closed and vacant for 10 years before being purchased by the Blumkin Foundation in 1981 and deeded to the Omaha Theater Company. With help from the Blumkin Foundation and other donors, The Rose was restored to much of architect John Eberson’s original design. However, the restoration did not address acoustics issues that affected the auditorium’s use as a live performance space. The Rose’ auditorium had a curved ceiling and flat rear walls. Both caused reflections into the audience. Also, the Omaha Theater Company’s performances had grown in sophistication and they needed a modern sound reinforcement system. Thus, in 2010, Managing Director Julie Walker initiated a project to improve The Rose’ acoustics and upgrade its sound system. After several interviews, Walker selected consultant David Walters of Lincoln, Nebraska’s Diversified Design Group, to specify acoustical improvements and design a new sound system for The Rose. “Dave was easy to work with”, said Walker, “and his expertise covered both sound and acoustics”. Walters helped The Rose put together a master plan and provided detailed cost estimates. He recommended acoustical treatment for the rear walls and curved ceiling with additional low frequency absorption added to an opening above the proscenium. He designed a new sound system with left-center-right audience loudspeakers and additional loudspeakers to cover the balcony. Walters designed removable front-fill loudspeakers to keep the “sound stage” at the actors’ level and still accommodate The Rose’ traditional orchestra pit and he specified portable loudspeakers that can be placed on the catwalks for performances needing specialized sound effects. After the bidding process, The Rose selected Omaha contractor Midwest Sound and Lighting to install the new sound system. 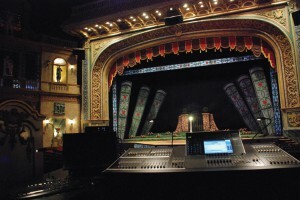 Midwest also provided training for the theater’s technical crew. After three years of operation, The Rose’ new sound system continues to provide capabilities for kinds of classic and modern performances and its updated acoustics allow natural- sounding voice and music for drama while providing a great performance space for the facility’s classic theater organ. 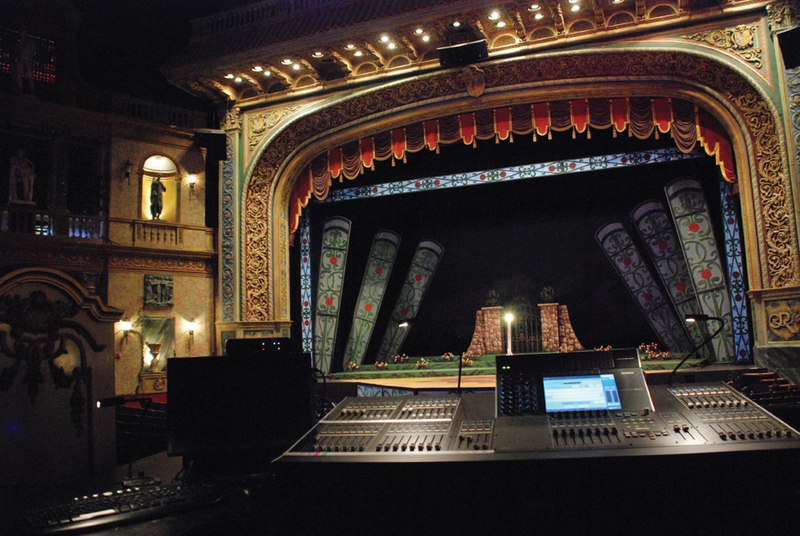 Thus, as it prepares for the Omaha Theater Company’s fall season, and holds its summer theater classes and technical internships, The Rose Theater’s great sound and acoustics continue to play leading roles in all of its performances and activities.